It's still July -- so let's have us some CHRISTMAS IN JULY! A few weeks ago, I tried my hand at a new type of Christmas ornament. Of course, it HAD to be made from sheets of music, right? After all, what is Christmas without music? I think that, if I ever make another one from music, it is going to be music that is smaller and closer together, much more condensed. That would definitely be more effective. But, experience is the best teacher, so they say. Working with a paper that has obvious stripes presents various problems, as you can especially see on the reverse side. My next ornament will be crafted from an all-over design. 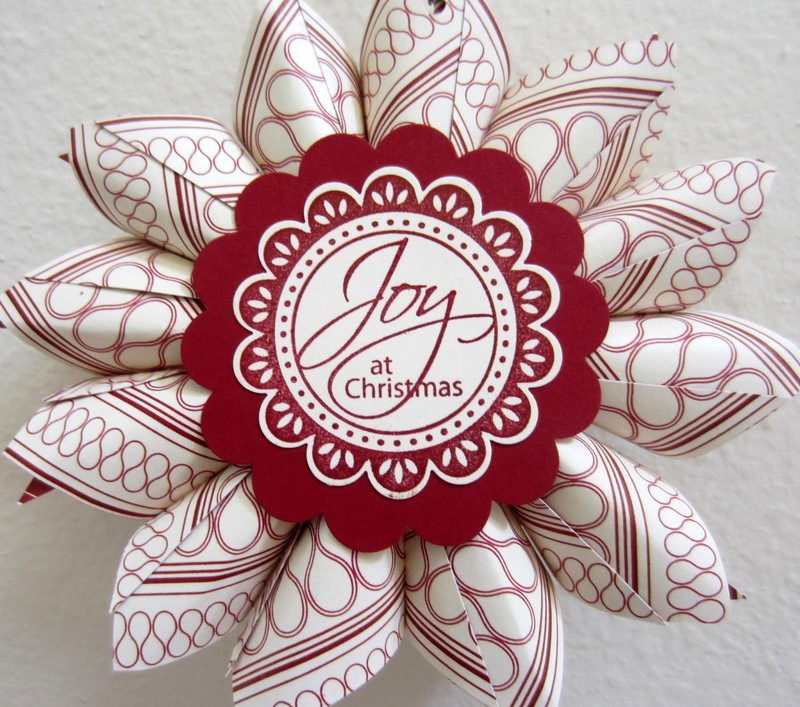 The center of the ornament is created with our new Simply Pressed Clay inside the largest flower from the Buttons & Blossoms Simply Pressed Clay Mold (page 167 of the big new catalog). I then used a sponge dauber to add color to the raised surfaces of the flower. It just depends on the look you prefer. How are you doing on YOUR Christmas preparations? I haven't started any Xmas items yet but I've definitely been thinking about them! Love your ornaments - so festive. 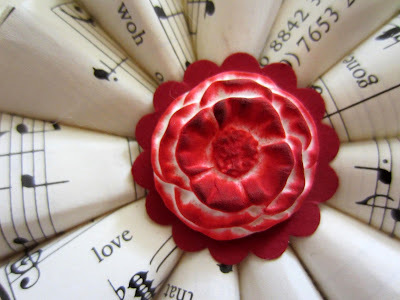 Coming over from the Creative Home & Garden Blog Hop, and a happy new follower! These are cool. I am not quite ready for Christmas stuff yet! Those are so pretty! I'll be making some...pinning. These are super beautiful~ I'm not preparing for Christmas at all yet because I'll be moving across the country in December and don't want to bring extra stuff! I love your ornaments. I want to try one myself. No getting ready for Christmas here. Heck, I couldn't find it in all the boxes. As my dear husband used to say Bah Humbug!! LOL! These are very pretty! What do you secure the cones to? These are so pretty, Linda! I could see these on gift packages, too, instead of bows, or just hanging from a cabinet or drawer knob. Thanks for linking them up to The Creative Home & Garden hop! Thanks for linking up at Dorothy Sue and Millie B's too Clever, Crafty & Creative Link Party this week! 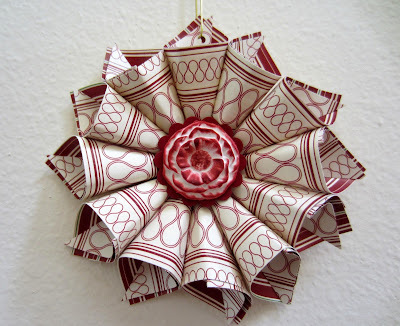 I tried my hand at making one of these wreaths a couple of weeks ago and it was a disaster! I think where I went wrong was using a vintage book for my paper. The sheets tore very easily, so I trashed the whole thing! You did a great job! Makes me want to try again! These are adorable,I haven't gotten around to Christmas as of yet, I'm not even ready for Halloween! But I am pinning this... they are so darn cute I just have to make some! Very pretty, I like them :). 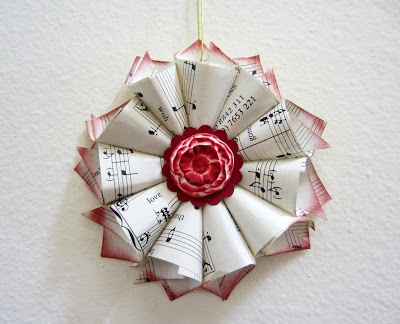 Your ornament looks lovely, I like to use sheet music in crafting too. I'm just gathering my ideas for Christmas, if I just jump in I get too carried away and end up with way too much stuff! I have to plan to control myself! These are so beautiful! And I do believe even I could do that! :) I think these would be ideal to top your gifts instead of a bow and that way they can be hung on the tree and kept forever once the gift is open! Thanks for sharing once more at One Sharendipity Place! It's always a treat to see your latest designs! Beautiful! Thanks for sharing at Bacon Time. I just got done doing a Christmas in July craft event for our local Senior Services, so I have been doing some Christmas stuff too. 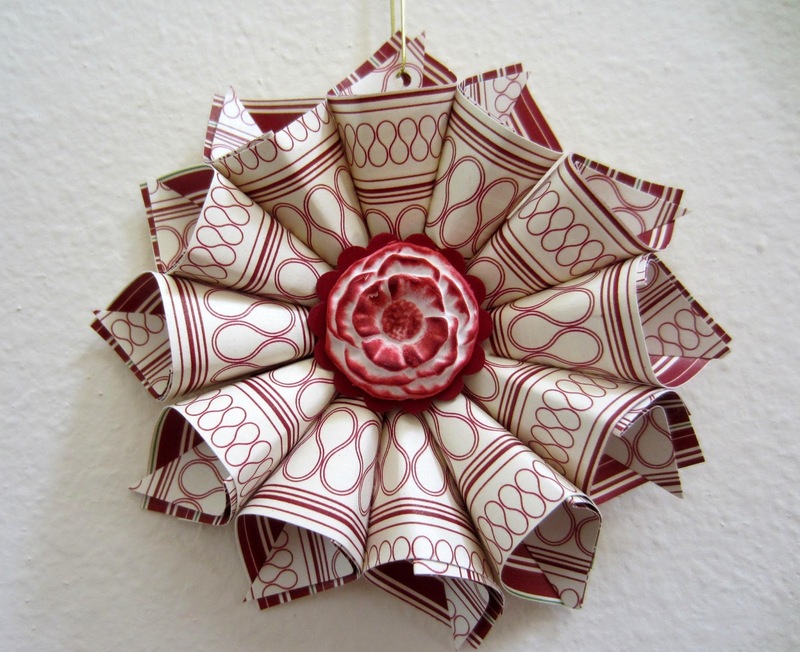 I have never been good with paper crafts, but this is really inspiring. Love the first one - with the musical notes! Thanks for linking up at Romance on a dime!! These are beautiful! I'm ready to start my Christmas crafting as well! Have fun, thanks for sharing! So beautiful! I would love to hang them for the holidays. Thanks so much for sharing at All Things Pretty!